Do you practice yoga? Do you have a favorite herbal tea? As part of #NNM, self-care is a big part of “being well” and making sure you’re taking care of the [mental] part of you. Helping yourself to wind down may lower stress levels- even if it’s that morning cup of tea that you absolutely need in order for your day to start off right. So, we ask-What do you do for #selfcare? 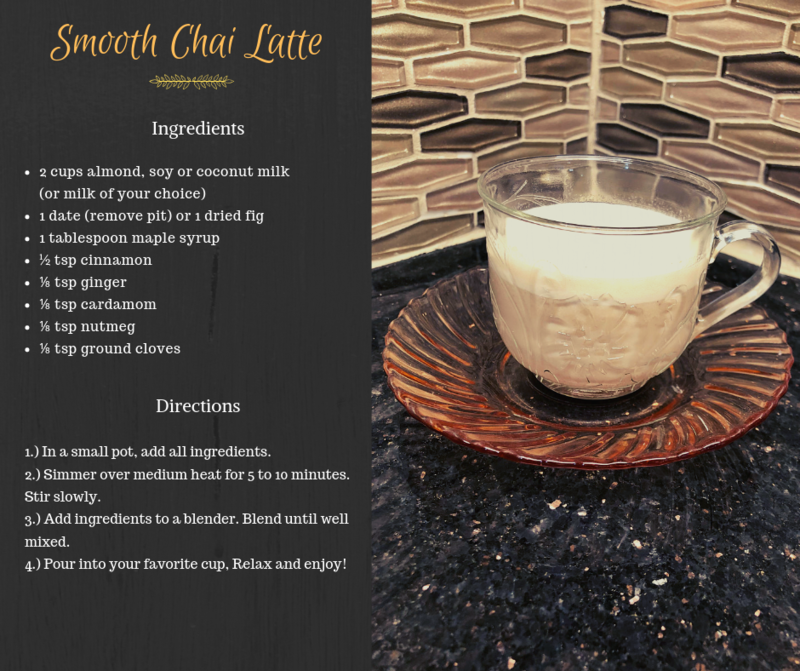 Here’s a new recipe to try to help you relax! This entry was posted in Community, Education, Family, Food, Health, Nutrition and tagged National Nutrition Month, self-care, smooth chai latte, UConn Extension.